flowers and herbs infused in either 100 Proof Vodka or certified organic 192 proof alcohol. These flowers are traditionally used to cleanse the blood. DO NOT USE DURING PREGNANCY. DO NOT USE WITH PRESCRIBED BLOOD THINNERS. Traditionally used to relieve stress and nervous tension. Traditionally used to tonify the enitre body. Traditionally used as an all around tonic to benefit the liver and blood system. Traditionally used to regenerate liver tissue. Traditionally used to alleviate mouth sores and the health of gums. It has also been traditionally used to aid the immune system and for its anti-viral and anti-bacterial properties. Traditionally used to fight infections and sore throats. is traditionally used as an immune stimulant and treats early phases of bacterial or viral infections. These berries are traditionally used as an antiviral and immune stimulant. 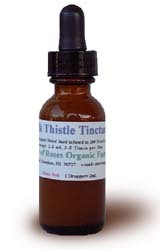 This tincture is also traditionally useful in treating upper respiratory infefctions. Combines vitex, black cohosh and Dong Quai which are used to balance and regulate female hormones. This tincture is also helpful in alleviating symptoms such as hot flashes, mood swings and irritability. DO NOT TAKE IF YOU THINK YOU MAY BE PREGNANT. Good as a anti-inflammation agent, an antioxidant, and a digestive aid. These are just some of it wonderful properties. DISCLAIMER: Star of Roses Organic Farm does not intend to diagnose, treat, or cure medical conditions. If you have or think you have a serious condition which requires medical attention, you should promptly seek qualified health care.